For AW14, Prabal Gurung revisited early memories of growing up in Nepal, inspired by “the snow capped mountains, wild roses, vibrant colours and textures, hymns and chants” of his homeland. 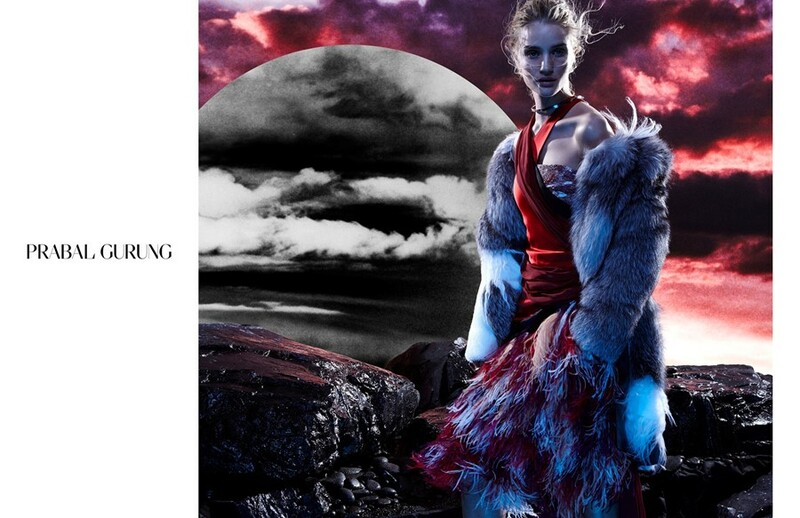 On this season’s campaign, Gurung worked with both Dazed photographer Daniel Jackson and creative director Christopher Simmonds, shooting Rosie Huntington-Whiteley in the role of a Himalayan warrior. Together, they sought to capture the mix of "intoxicating beauty and serene spirituality" that surrounded the designer's upbringing. Here, Gurung talks us through his references – from female strength to artist Cecily Brown.